36 Hour Anaerobic Fermentation with Tangerines - We have 4 fermentation tanks at the farm we use for our experimental fermentation micro lots. 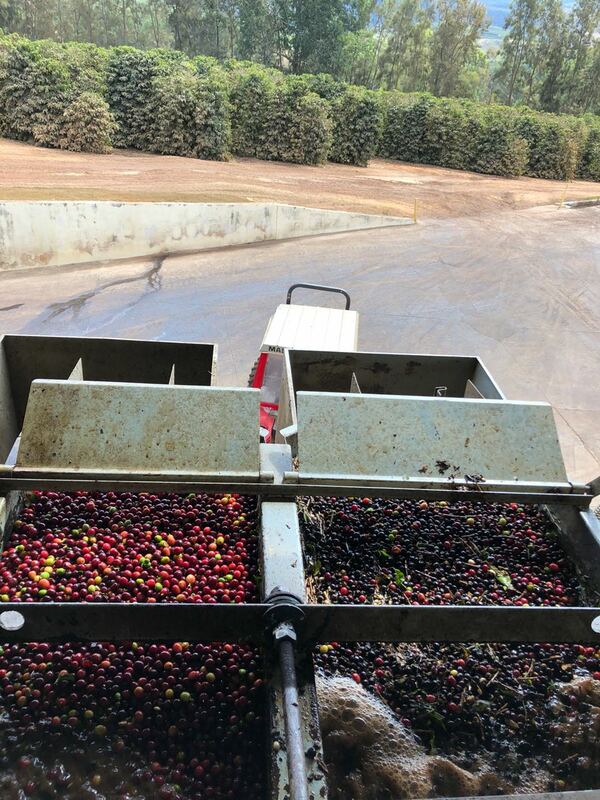 The coffee cherries first pass through our grater to remove the cherry skin from the coffee cherry and allow 70% of the mucilage to remain covering the seed with a golden/yellow complexion. The coffee is then placed in fresh water tanks with fresh tangerines produced on our farm for 36 hours. The coffee is rotated by hand 3 times a day, and fresh water is added periodically to maintain and control stable tank temperature conditions during fermentation. Following the fermentation period in the tanks, the coffee is then placed to dry on the raised drying beds for 24 days and is raked and rotated 6 times daily for consistent exposure and airflow. Fazenda Santa Luzia sits atop the hillside overlooking the valley, and is beautifully structured, segmented and its coffee fully traceable. Santa Luzia is responsible for the production of the majority of our Exotic, and Bourbon collections as well as our naturals and honey processed productions. 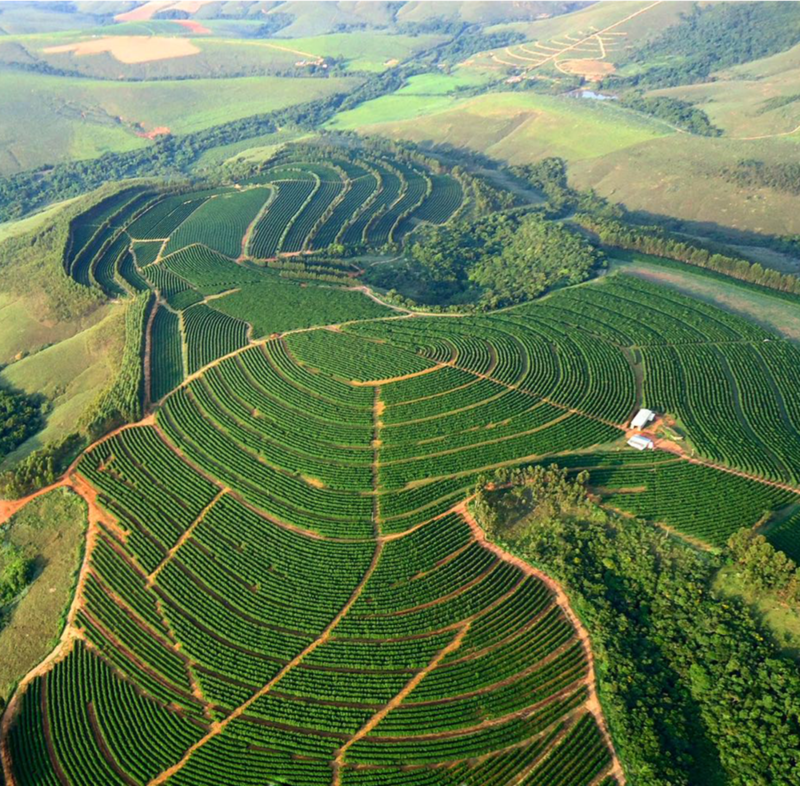 Santa Luzia is the neighboring farm to Fazenda Serrinha.